Impact 100 has always been about making a difference – both for the nonprofits to whom they offer grants, and among the Indianapolis community at large. 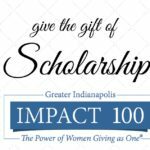 In the last six years, Impact 100 has been making a difference in shaping the philanthropic perspectives of young women through its scholarship program, which covers the cost of membership for promising young philanthropists. For more about the Scholarship Program, read the first blog in this series. An employee of the 2014 $100,000 grant winner Social Health Association, Abbe has a job where she sees first-hand the impact the Impact 100 grants can have on a nonprofit. 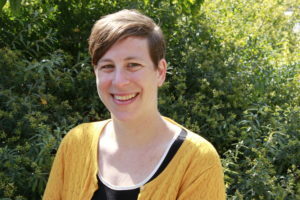 Her degrees and continued professional development allows her to bring a depth and breadth of relevance to understanding community needs in grant applications, making her an important contributor to her FAC. Abbe’s dream philanthropic project would focus on better serving LGBTQ youth in Indianapolis, where they are a marginalized and vulnerable population. While it is estimated that 7% of the general population identifies as LGBTQ, 40% of homeless youth do so. She would create a one-stop shop: drop-in center, medical clinic, shelter, and supportive services for homeless Indianapolis youth, with an LGBTQ-affirming focus. 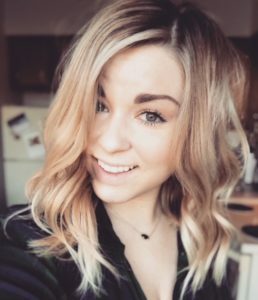 Sierra’s background is in event planning, non-profit fundraising, as well as marketing and communications. She currently works for MIBOR REALTOR(R) Association as an event coordinator and stays connected to the Indianapolis non-profit community via her volunteer work with Girls, Inc. and YNPNindy. Although her experience in writing grant applications and reports will be helpful in her FAC, she is interested in learning more about the granting process from the funder’s perspective and having the chance to make a difference in our community. 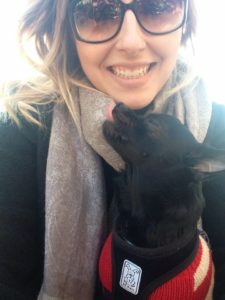 As a passionate animal advocate, her dream project would be to create a no-kill rescue organization educating the public on the importance of microchipping, as well as spaying and neutering pets. 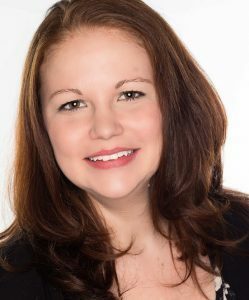 Amber manages the Hancock County Community Foundation’s Women’s Fund, so she brings a wealth of knowledge and experience with giving circles to Impact 100. She believes the perspective that each person brings to the table is just as important as their dollars. Amber’s dream philanthropic project would be related to people living with Alzheimer’s and the need to provide respite care to their caregivers. Ensuring caregivers are aware of the benefits available to them, how to navigate the medical, legal and financial concerns that go along with a diagnosis would require partnering with other organizations and funders. As a fairly new Indianapolis resident, Kara sees the opportunity to be involved in Impact 100 as an avenue to make a difference in her new community and make friends while helping her FAC choose a finalist for an impactful $100,000 grant. She’s a big proponent of the arts and culture in society; she feels art and cultural initiatives are heartwarming distractions from some of the painful things happening in the world today. Her dream project would be a community-wide movie night during warmer months. Kara would partner with local theaters around the city, and rent equipment for a pop-up theater outside to do a massive movie outing to raise philanthropic funds through ticket and concession sales to then donate to theaters and museums around the city. This entry was posted in Announcements, Member Feature, Scholarship on April 11, 2018 by Impact 100 Indy.